When we consider the possibility that God used evolutionary processes to create over millions of years, we are faced with serious consequences. During the Scopes Trial in 1925, ACLU attorney Clarence Darrow placed William Jennings Bryan (seen as the man representing Christianity) on the stand and questioned him about his faith. In his questioning, Darrow pitted Bryan’s faith in the Bible against his belief in modern scientific thinking. Darrow questioned Bryan about the meaning of the word day in Genesis. Bryan’s answer rejected the clear teaching of Scripture, which indicates that the days of Genesis 1 are six actual days of approximately 24 hours. 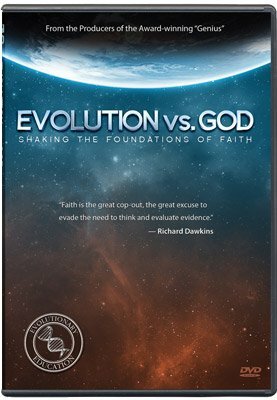 Bryan accepted modern evolutionary thinking instead when he said, “I think it would be just as easy for the kind of God we believe in to make the earth in six days as in six years or in six million years or in 600 million years. I do not think it important whether we believe one or the other.”1 This is not the first time a Christian has rejected the intended meaning of God’s Word, and it certainly will not be the last. 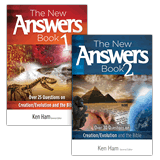 Many Christians today claim that millions of years of earth history fit with the Bible and that God could have used evolutionary processes to create. This idea is not a recent invention. For over 200 years, many theologians have attempted such harmonizations in response to the work of people like Charles Darwin and Scottish geologist Charles Lyell, who helped popularize the idea of millions of years of earth history and slow geological processes. When we consider the possibility that God used evolutionary processes to create over millions of years, we are faced with serious consequences: the Word of God is no longer authoritative, and the character of our loving God is questioned. Already in Darwin’s day, one of the leading evolutionists saw the compromise involved in claiming that God used evolution, and his insightful comments are worth reading again. Once you accept evolution and its implications about history, then man becomes free to pick and choose which parts of the Bible he wants to accept. The leading humanist of Darwin’s day, Thomas Huxley (1825–1895), eloquently pointed out the inconsistencies of reinterpreting Scripture to fit with popular scientific thinking. Huxley, an ardent evolutionary humanist, was known as “Darwin’s bulldog,” as he did more to popularize Darwin’s ideas than Darwin himself. Huxley understood Christianity much more clearly than did compromising theologians who tried to add evolution and millions of years to the Bible. He used their compromise against them to help his cause in undermining Christianity. Huxley made the point that if we are to believe the New Testament doctrines, we must believe the historical account of Genesis as historical truth. Huxley was definitely out to destroy the truth of the biblical record. When people rejected the Bible, he was happy. But when they tried to harmonize evolutionary ideas with the Bible and reinterpret it, he vigorously attacked this position. He was adamant that science (by which he meant evolutionary, long-age ideas about the past) had proven that one cannot intelligently accept the Genesis account of creation and the Flood as historical truth. He further pointed out that various doctrines in the New Testament are dependent on the truth of these events, such as Paul’s teaching on the doctrine of sin, Christ’s teaching on the doctrine of marriage, and the warning of future judgment. Huxley mocked those who try to harmonize evolution and millions of years with the Bible, because it requires them to give up a historical Genesis while still trying to hold to the doctrines of the New Testament. What was Huxley’s point? He insisted that the theologians had to accept evolution and millions of years, but he pointed out that, to be consistent, they had to give up the Bible totally. Compromise is impossible. If we compromise on the history of Genesis by adding millions of years, we must believe that death and disease were part of the world before Adam sinned. The book of Genesis teaches that death is the result of Adam’s sin ( Genesis 3:19 ; Romans 5:12, 8:18–22 ) and that all of God’s creation was “very good” upon its completion ( Genesis 1:31 ). All animals and humans were originally vegetarian ( Genesis 1:29–30 ). But if we compromise on the history of Genesis by adding millions of years, we must believe that death and disease were part of the world before Adam sinned. You see, the (alleged) millions of years of earth history in the fossil record shows evidence of animals eating each other,8 diseases like cancer in their bones,9 violence, plants with thorns,10 and so on. All of this supposedly takes place before man appears on the scene, and thus before sin (and its curse of death, disease, thorns, carnivory, and so on) entered the world. Christians who believe in an old earth (billions of years) need to come to grips with the real nature of the god of an old earth—it is not the loving God of the Bible. Even many conservative, evangelical Christian leaders accept and actively promote a belief in millions and billions of years for the age of rocks. 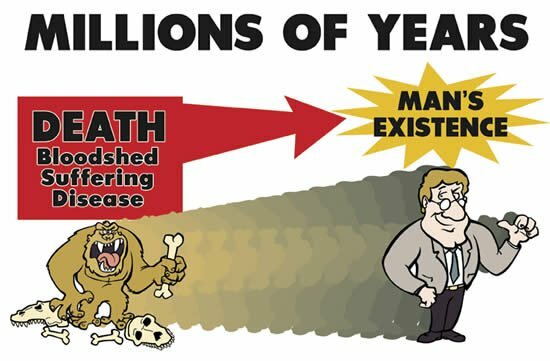 How could a God of love allow such horrible processes as disease, suffering, and death for millions of years as part of His “very good” creation? This is an obvious reference to the millions of years associated with the fossil record. The god of an old earth is one who uses death as part of creating. Death, therefore, can’t be the penalty for sin and can’t be described as the last enemy ( 1 Corinthians 15:26 ). The god of an old earth cannot therefore be the God of the Bible who is able to save us from sin and death. Thus, when Christians compromise with the millions of years attributed by many scientists to the fossil record, they are, in that sense, seemingly worshipping a different god—the cruel god of an old earth. People must remember that God created a perfect world; so when they look at this present world, they are not looking at the nature of God but at the results of our sin. There’s no doubt—the god of an old earth destroys the gospel. Now it is true that rejection of six literal days doesn’t ultimately affect one’s salvation, if one is truly born again. However, we need to stand back and look at the big picture. In many nations, the Word of God was once widely respected and taken seriously. But once the door of compromise is unlocked, once Christian leaders concede that we shouldn’t interpret the Bible as written in Genesis, why should the world take heed of God’s Word in any area? 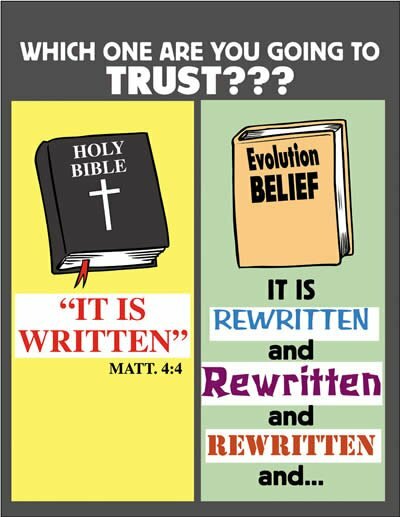 Because the church has told the world that one can use man’s interpretation of the world, such as billions of years, to reinterpret the Bible, this Book is seen as an outdated, scientifically incorrect holy book not intended to be believed as written. As each subsequent generation has pushed this door of compromise open farther and farther, they are increasingly not accepting the morality or salvation of the Bible either. After all, if the history in Genesis is not correct, how can one be sure the rest is correct? Jesus said, “If I have told you earthly things, and you do not believe, how will you believe if I tell you of heavenly things?” ( John 3:12 ). The battle is not one of young earth vs. old earth, or billions of years vs. six days, or creation vs. evolution—the real battle is the authority of the Word of God vs. man’s fallible opinions. Why do Christians believe in the bodily Resurrection of Jesus Christ? Because of the words of Scripture (“according to the Scriptures”). And why should Christians believe in the six literal days of creation? Because of the words of Scripture (“In six days the Lord made ...”). The real issue is one of authority—is God’s Word the authority, or is man’s word the authority? So, couldn’t God have used evolution to create? The answer is No. A belief in millions of years of evolution not only contradicts the clear teaching of Genesis and the rest of Scripture but also impugns the character of God. He told us in the book of Genesis that He created the whole universe and everything in it in six days by His word: “Then God said ... .” His Word is the evidence of how and when God created, and His Word is incredibly clear. 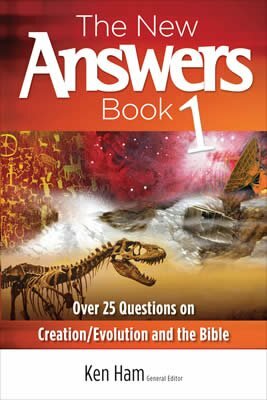 Previous Chapter Why Shouldn’t Christians Accept Millions of Years? Next Chapter Don’t Creationists Deny the Laws of Nature? The World’s Most Famous Court Trial, Second Reprint Edition, Bryan College, Dayton, Ohio, 1990, 296, 302–303. T. Huxley, Science and Hebrew Tradition, D. Appleton and Company, New York, 1897, 207. C. Hodge, Systematic Theology, Vol. 1, Wm. B. Eerdmans, Grand Rapids, Michigan, 1997, 573. Hodge was probably referring to the usual humanist spin-doctoring of the Galileo affair, but for a more accurate portrayal, see R. Grigg, The Galileo “twist,” Creation 19(4):30–32, 1997, and T. Schirrmacher, The Galileo affair: history or heroic hagiography? TJ 14(1):91– 100, 2000. 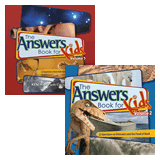 E.g., ground up dinosaur bones were found in the fossil dung of another dinosaur. See Nature 393(6686):680–682, 1998. D.H. Tanke and B.M. Rothschild, Paleopathology, P.J. Currie and K. Padian, eds., Encyclopedia of Dinosaurs, Academic Press, San Diego, 1997, 525–530. H.P. Banks, Evolution and Plants of the Past, Wadsworth Publishing Company, Belmont, California, 1970, 9–10. J.S. Spong, A call for a new Reformation, www.dioceseofnewark.org/jsspong/reform.html.